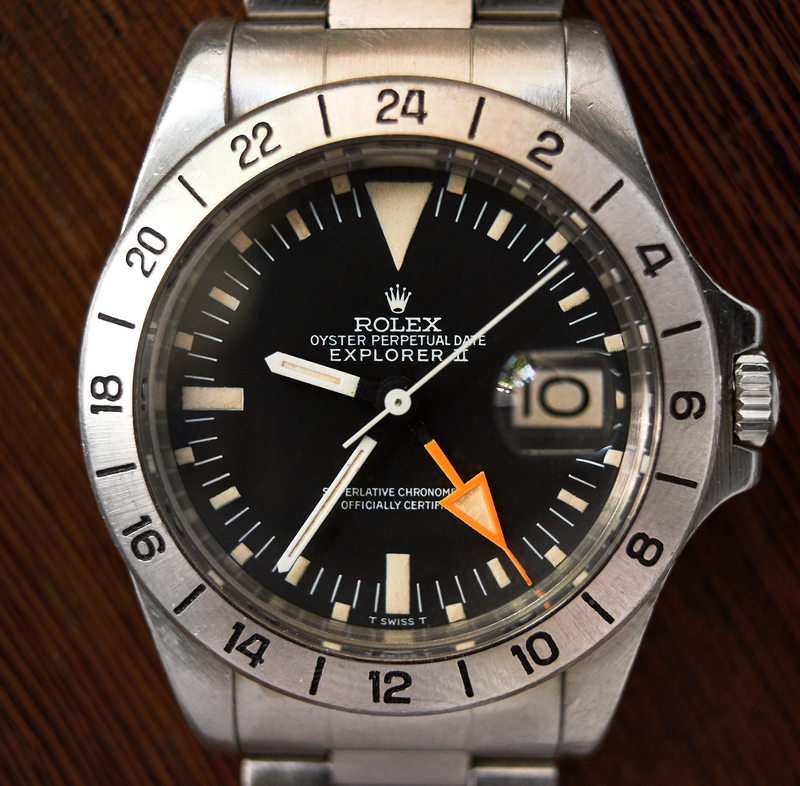 rolex 1655 Explorer2 "straight hand"
An Explorer 2 „Straight Hand“ from 1973 in this condition is a really rare watch nowadays. 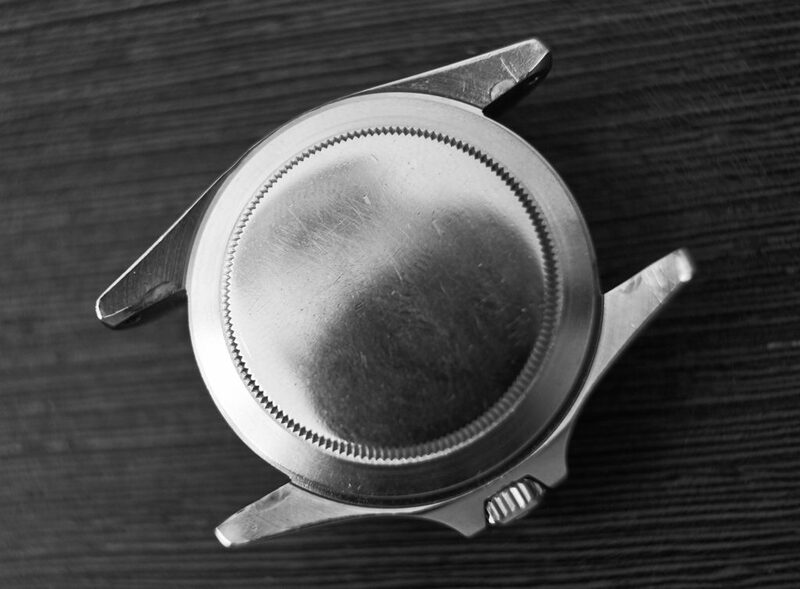 We had the great chance to buy this very late „straight hand“ -example directly from the first owner who bought it in a store in Germany in 1974 and owned it for almost 44 years as we have learned. 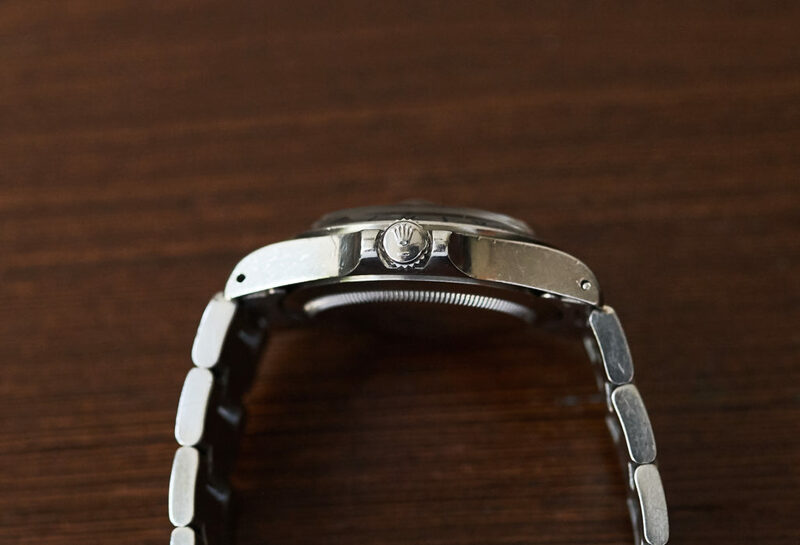 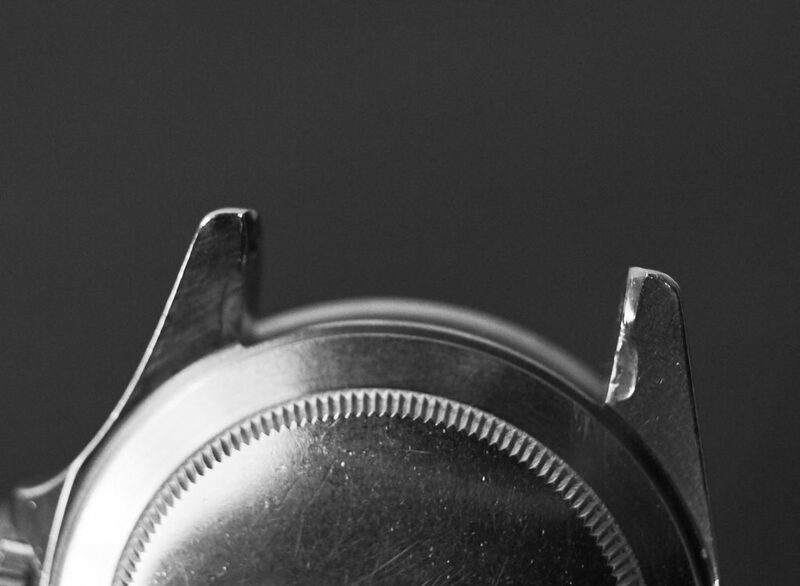 It´s such a pleasure to find a watch which has evenly aged on all outer parts except the extremely well preserved inside of the oyster case, but has never been overpolished or refurbished as so many vintage rolex are today. 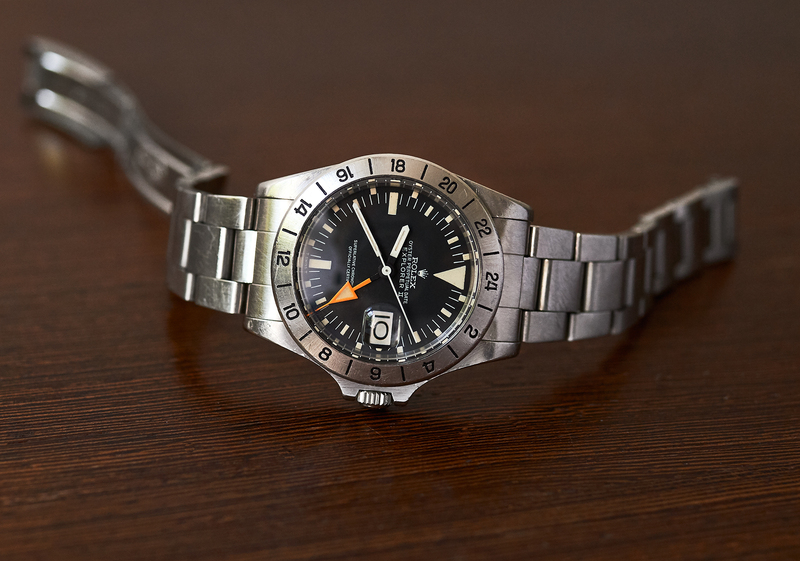 It must be one of the last 1655´s with straight second-hand, which were only produced for about three years in different configurations. 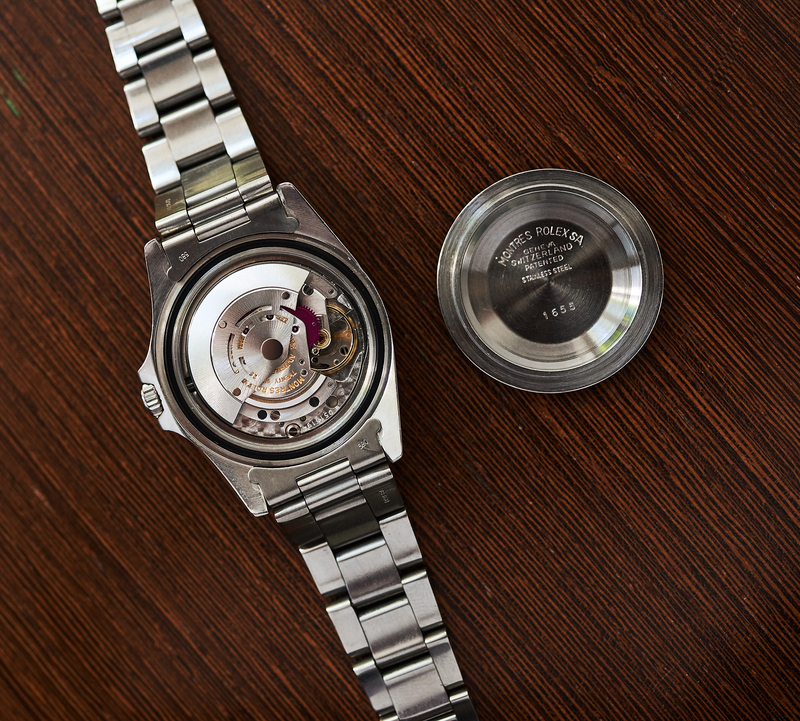 We brought the watch to the rolex spa, which included a full movement revision, two new endlinks and a new plexiglas. 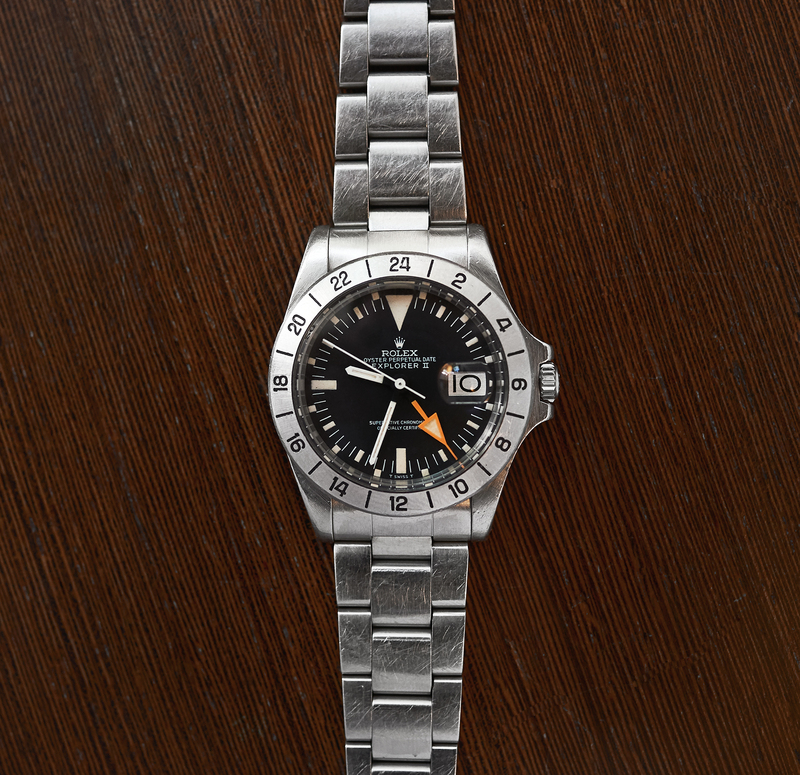 All the „rest“ is just as it left the rolex factory back in 1973. 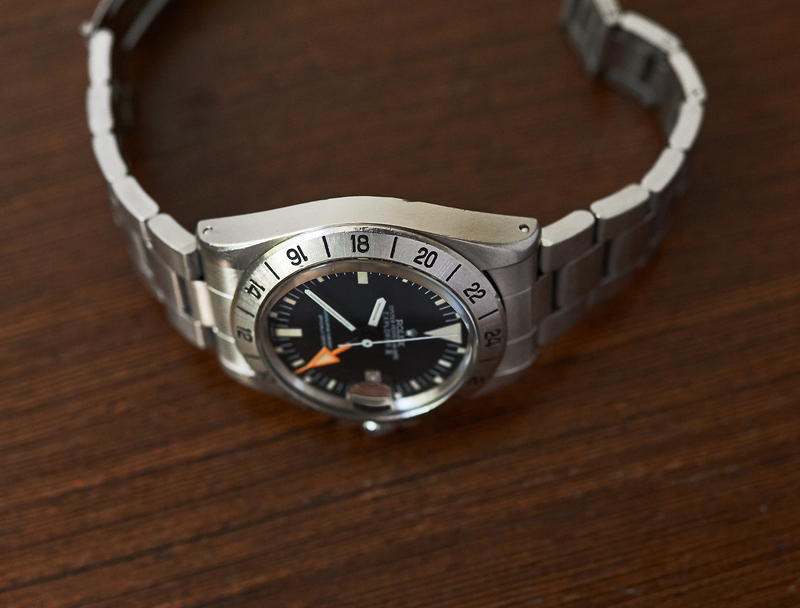 This „Orange hand“ has an outstanding flawless and untouched Mk1 frogfoot dial with matching tritium-handset. 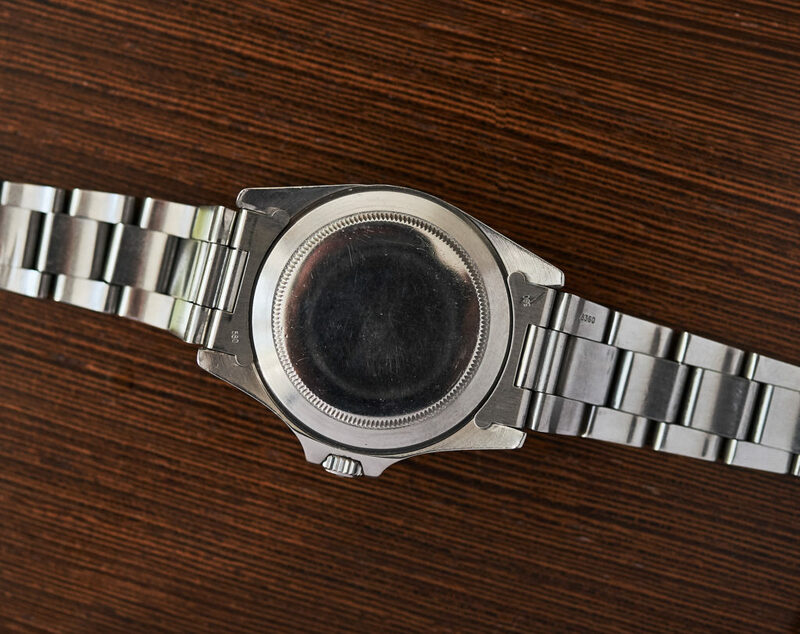 The bezel is still unpolished as well as the case seems to be. 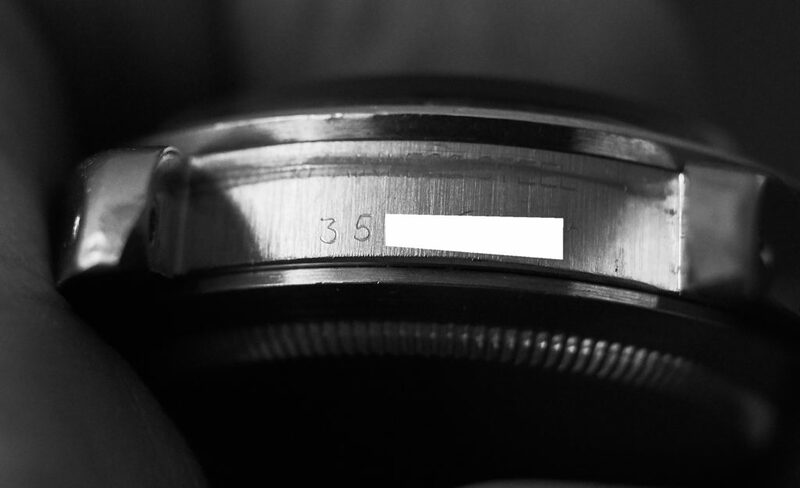 Both numbers (3,5 mio) are clearly readable. 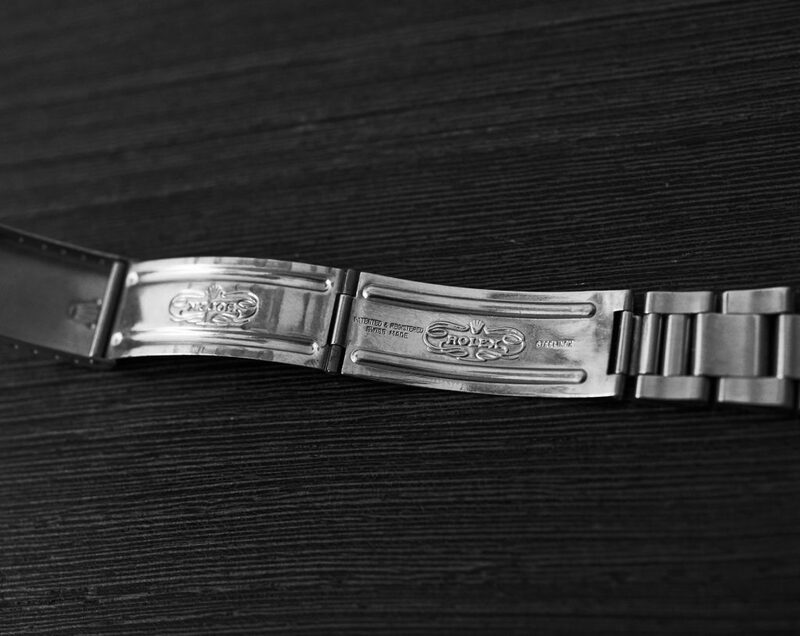 Even the bracelet with massive links fits perfectly into that period, as it has no code stamped in the clasp just as it has to be for early ones. 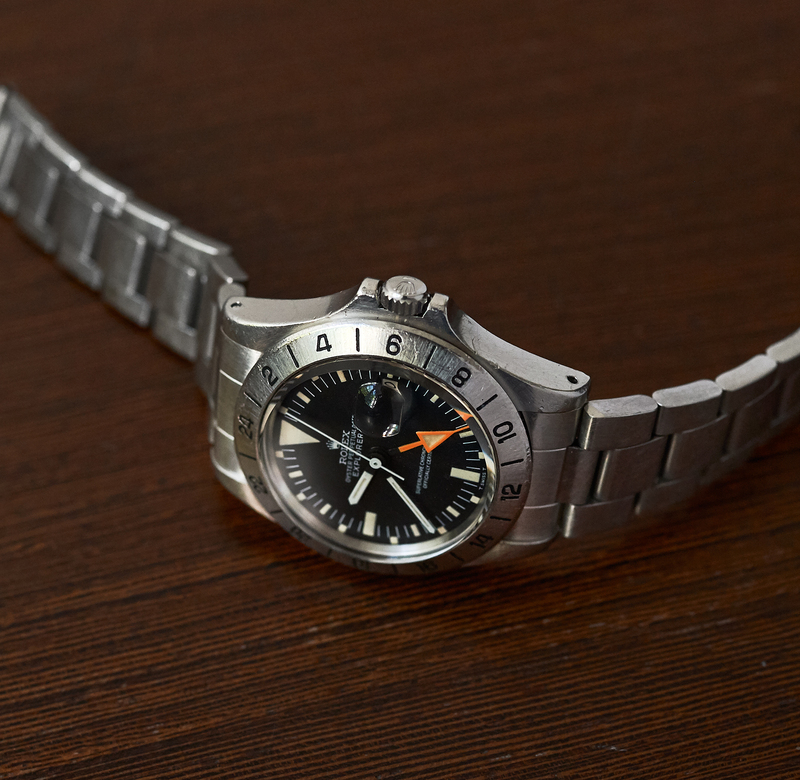 Rolex/Bucherer made a positive waterresistance test (will be delivered with) , so if one would like to go diving with a rare collectors rolex, this could be your watch.